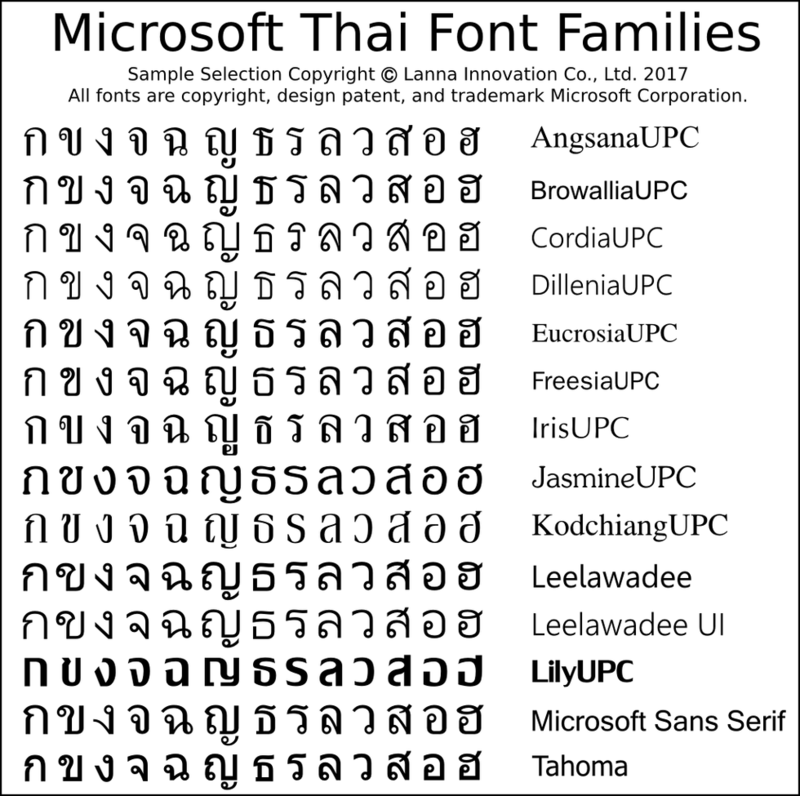 The main goal of this repository is to provide -- in one place a set of freely (and legally) available Thai computer fonts. 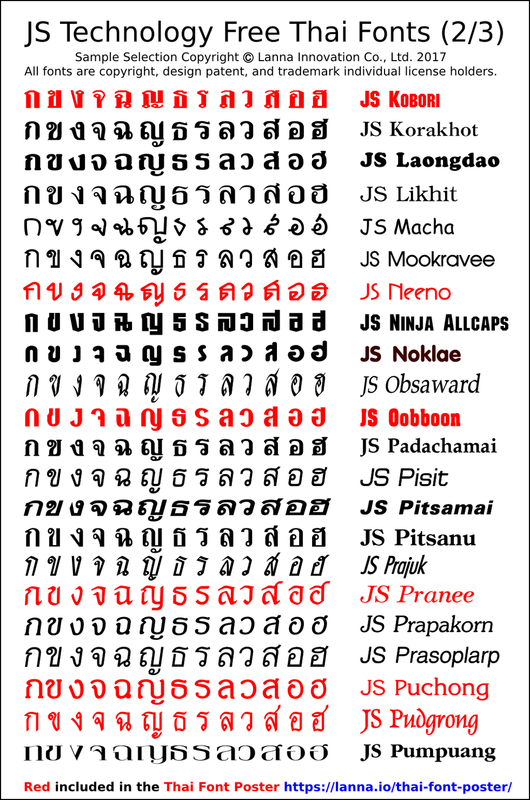 The collection of fonts show the diversity of Thai typefaces. 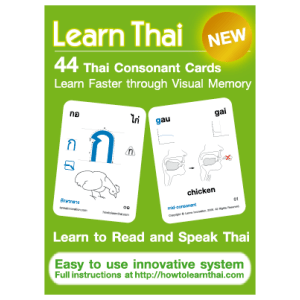 While there are many different websites with fonts for download, some fonts are difficult to find, and many sites also have proprietary fonts which are not free, and their use violates intellectual property laws. In addition, information about additional free-to-use fonts not hosted here is included, as well as information about standard proprietary Thai fonts, specifically those Thai fonts that come with Apple OSX and Microsoft Windows. Note: we will be adding Arundina and Waree which are both TLWG Fonts (SIPA and NECTEC, respectively) but were not included. 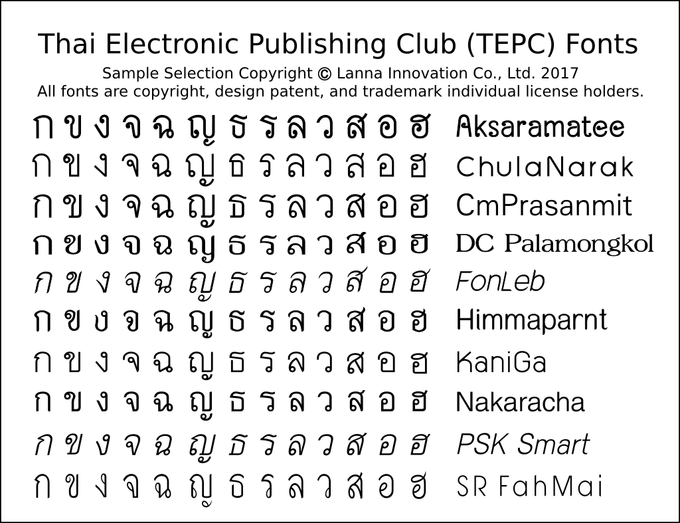 They have been a part of Linux distribution support for Thai fonts for many years. 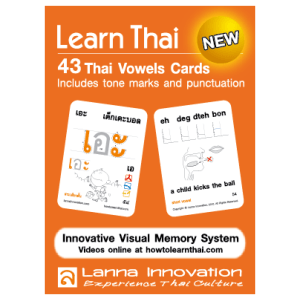 The Lanna Innovation Thai Font Collection currently includes over 300 font files in 108 font families. 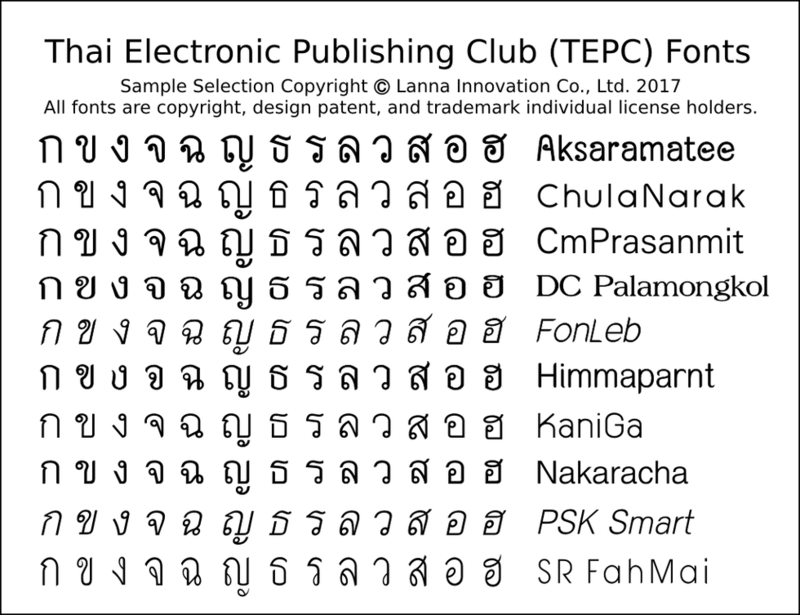 Not all font families include multiple variants, but many do. 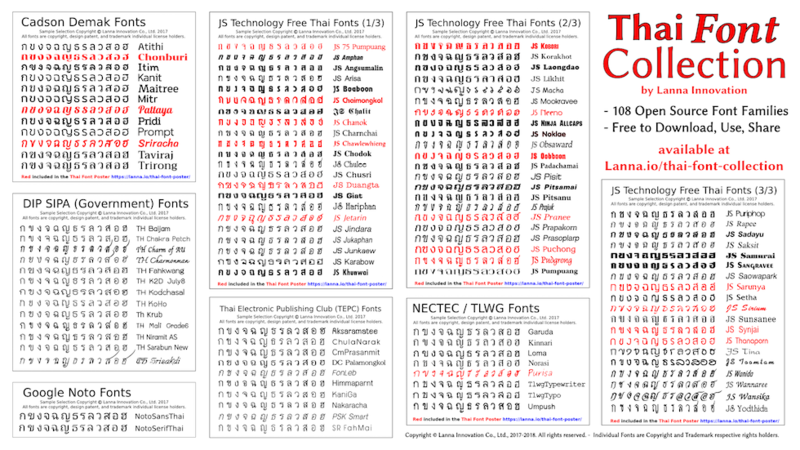 Font files are in TTF or OTF file format. 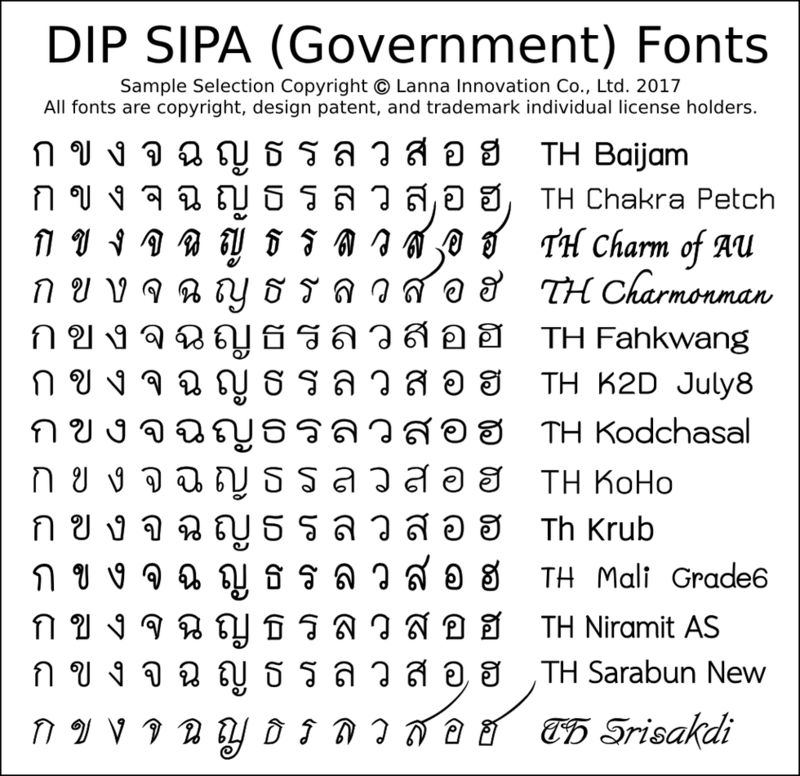 We intend to update all open source and pubic domain font files to OTF which has greater compatibility with modern applications. 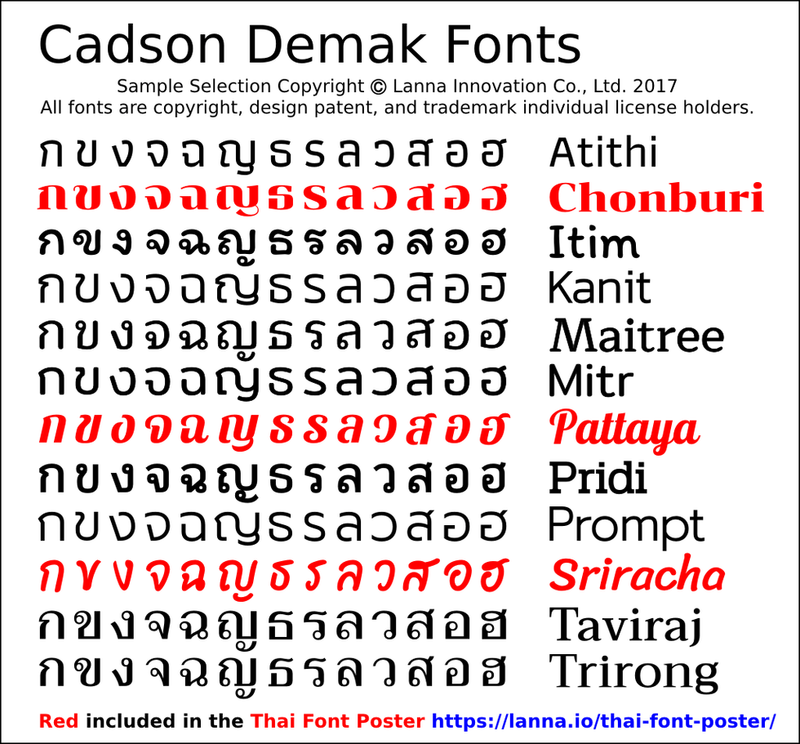 14 of the font families (46 individual font styles) are Webfonts available on Google Fonts, which makes using them on websites quite easy. 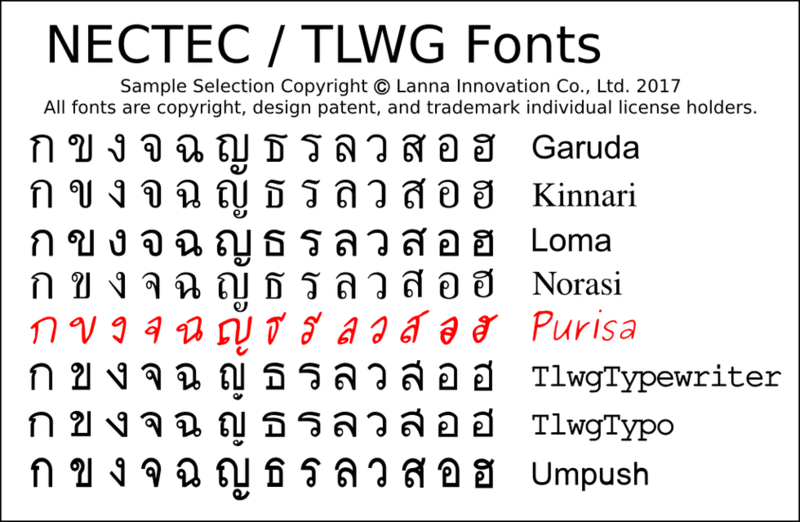 - More about the Free and Open Source Thai fonts with download links. 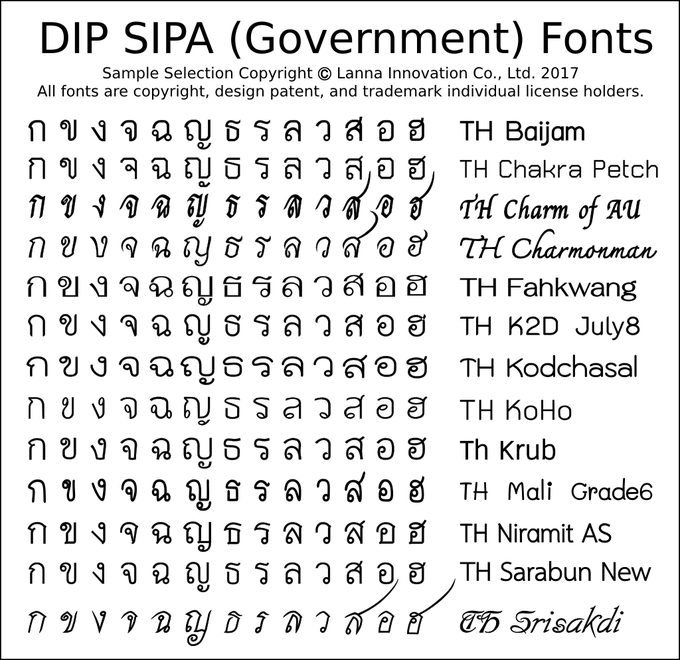 The licenses on these fonts allow us to distribute them. 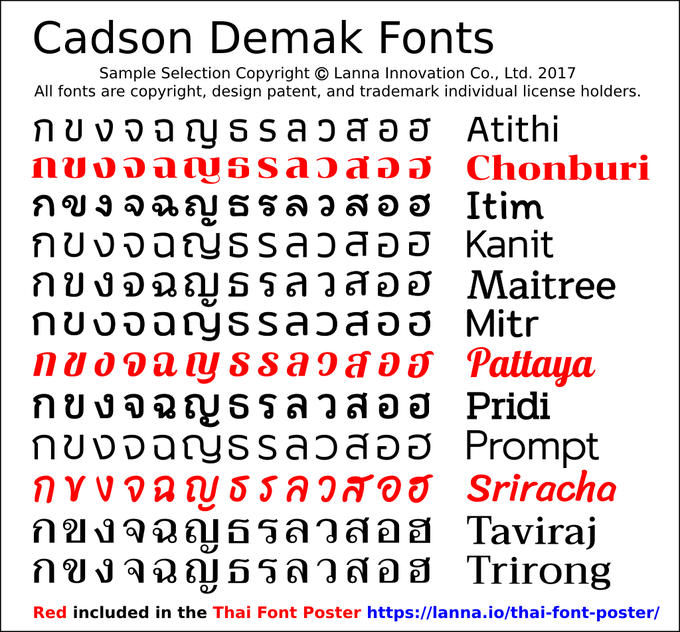 Information about 30 Additional, Free-to-use Thai fonts that can be downloaded from other websites. 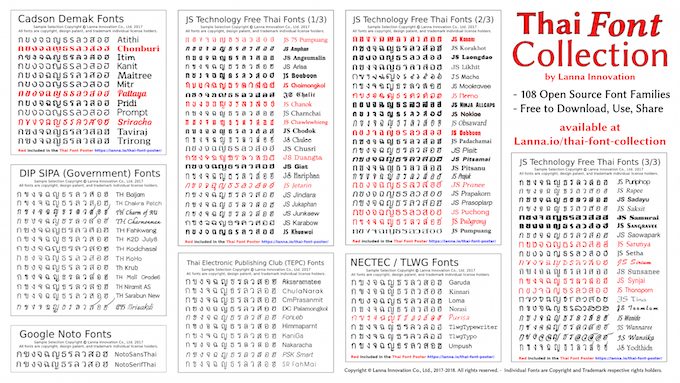 This is a curated collection of interesting and diverse fonts from a number of font creators and foundries. Information about Additional, Free-to-use Thai fonts that can be downloaded from other websites. 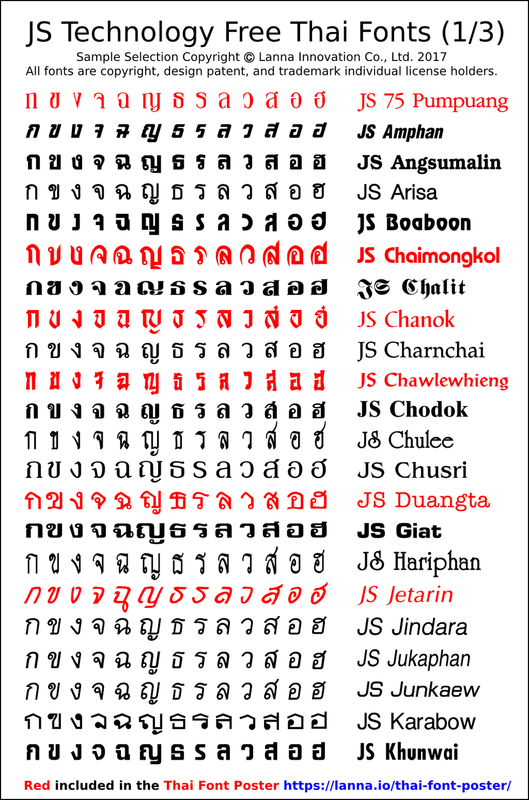 This is a curated collection of interesting and diverse fonts from a number of font creators and foundries.